Pro-Tips: What Can I Write Off? 1. 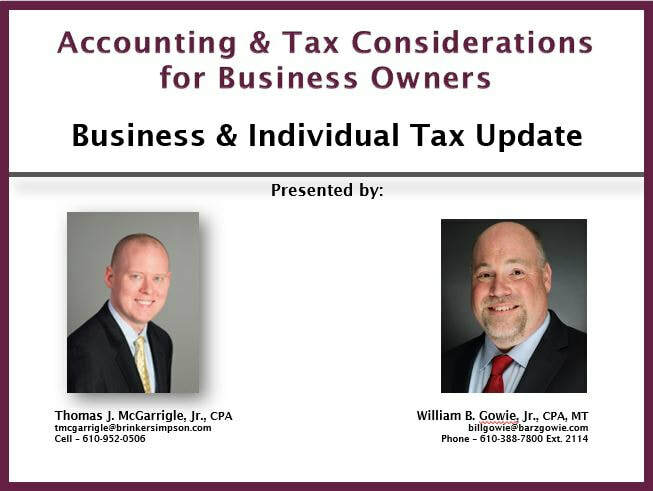 Keep your personal and business accounting records separate. 2. Hire a CFO, Controller, or Bookkeeper to assist with the company's accounting needs. 3. To be deductible a business expense must be ordinary and necessary. 4. 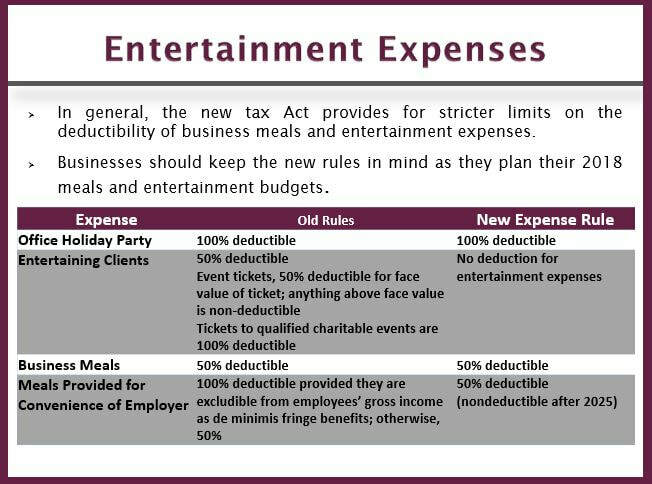 The Tax Cut and Jobs Act (TCJA) increased restrictions on the deductibility of business meals and entertainment expenses. 5. 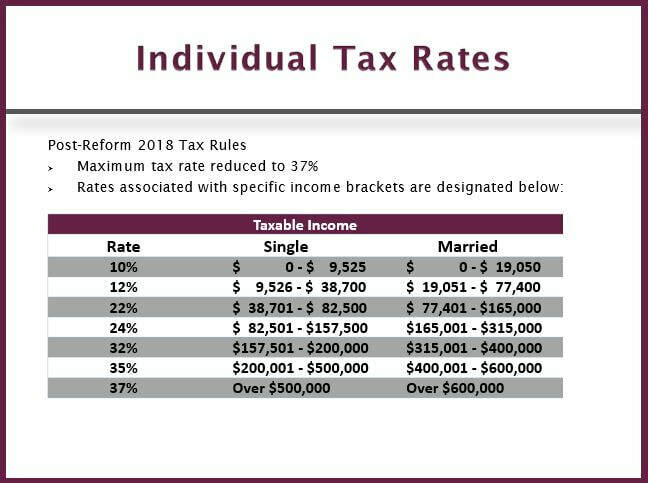 The TCJA added more adventageous depreciation rules to Bonus Depreciation and Section 179. 6. 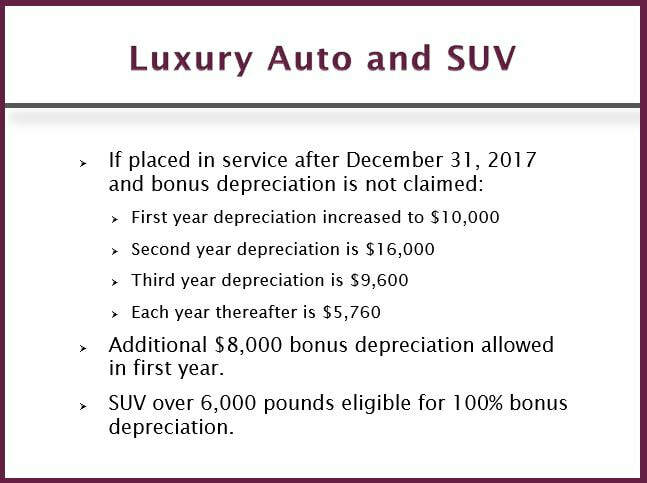 The TCJA increased depreciation limits for automobiles. 7. 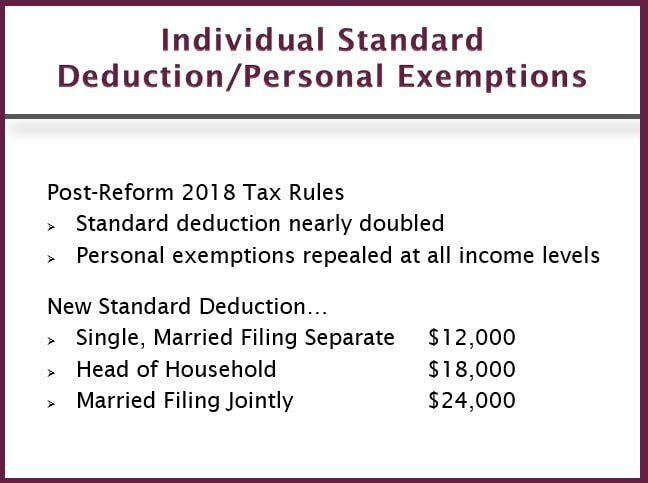 Post-Reform 2018 Tax Rules doubled to $2,000/qulialified child, with $1,400 being refundable.